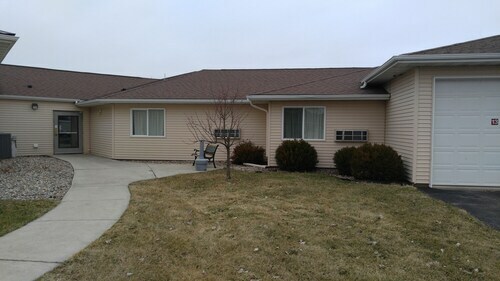 Situated in Le Center, this motel is within 1 mi (2 km) of Le Sueur County Fairgrounds, Le Sueur County Courthouse, and Courthouse Park. Verizon Wireless Center and Drive A Tank are also within 25 mi (40 km). 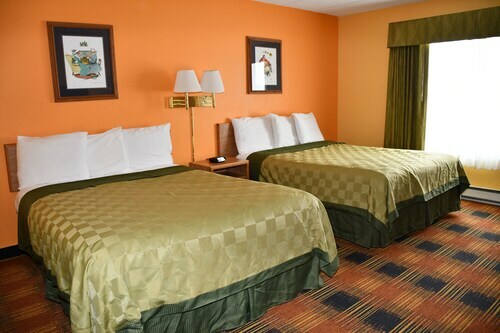 Situated in the entertainment district, this hotel is within a 10-minute walk of Blakeslee Stadium and Minnesota State University. Verizon Wireless Center is 1.9 mi (3.1 km) away. 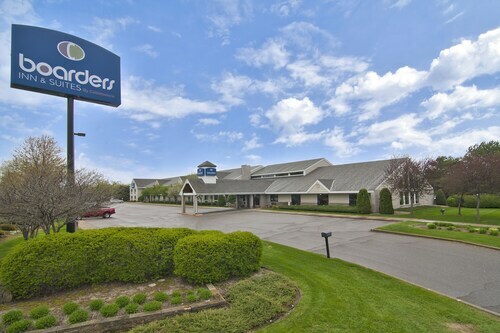 Located in City Center, this hotel is within a 5-minute walk of Red Jacket Trail and Verizon Wireless Center. Minnesota State University is 1.8 mi (3 km) away. 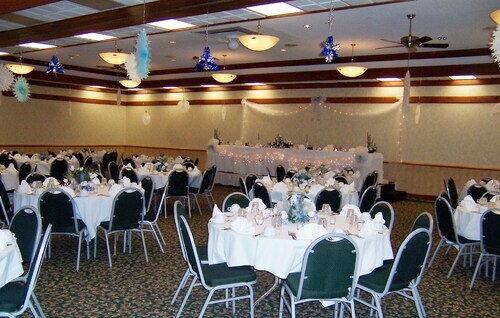 Situated in Mankato, this hotel is 3.1 mi (5 km) from Carnegie Art Center and within 6 mi (10 km) of Verizon Wireless Center and Minnesota State University. Red Jacket Trail and Betsy & Tacy's House Tours & Gift Shop are also within 6 mi (10 km). How Much is a Hotel Room in Le Center? Hotels in Le Center start at $62 per night. Prices and availability subject to change. Additional terms may apply. Unfortunately, there are no Travelocity-listed rooms in Le Center. Savvy travelers hoping to explore Le Center are best off booking one of the 12 options within easy driving distance. 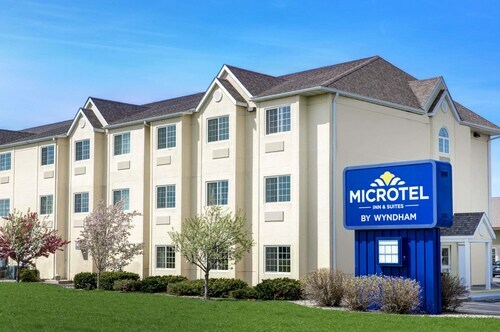 The closest Travelocity-listed hotel is the Holiday Inn Express Hotel and Suites Mankato East, Minnesota, which is situated 18 miles (29 kilometers) from the business district of Le Center. 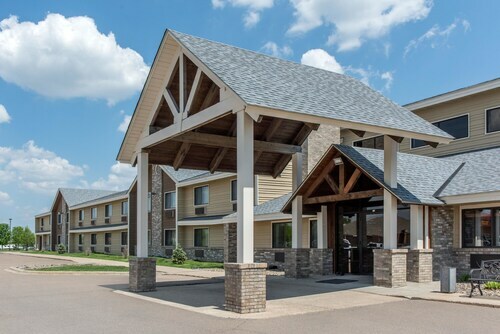 Or alternatively, you might like to check out the Country Inn & Suites By Carlson Mankato - Hotel &Conf Cntr, located in Minnesota, which is 18 miles (28 kilometers) away from the city center. Look into the Courtyard Mankato Marriott and also the HomeTown Inn & Suites. 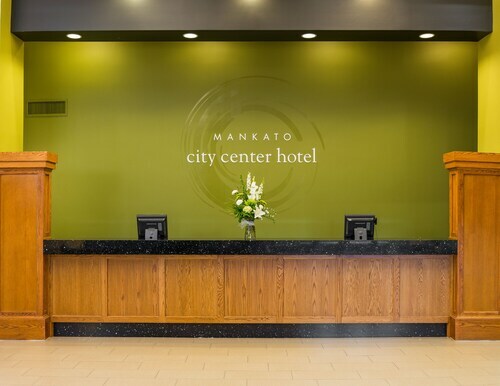 The Courtyard Mankato Marriott can be found just 18 miles (29 kilometers) from the city center of Le Center. The HomeTown Inn & Suites, is situated only 17 miles (28 kilometers) away. Two other Travelocity-listed hotel options in this neighborhood are the Fairfield Inn Mankato along with the Asteria Inn & Suites. When you have the time to discover more of the forests and lakes in this region of United States of America, you may choose to plan extra nights in other parts of Southern Minnesota. Spend time ice skating, quad biking and shore fishing or visit the district's diverse cultural and natural sights. Comfortable Travelocity-listed establishments will cater to your needs. Owatonna is 30 miles (50 kilometers) southeast of Le Center and boasts Steele County History Center and Owatonna Arts Center. 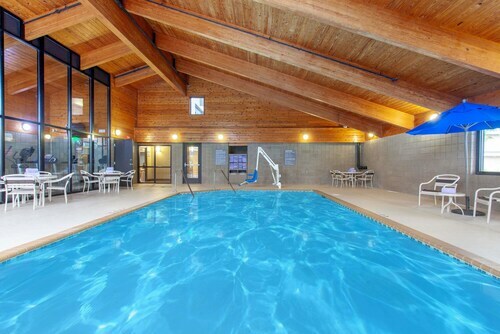 The Country Inn & Suites By Carlson Owatonna and Baymont Inn & Suites Owatonna are a few of the convenient apartment and hotel options in Owatonna. 60 miles (95 kilometers) southeast of Le Center, you may also choose to stay at Austin, home to the Holiday Inn Austin and AmericInn Austin. During your time in Austin, set aside a little time to check out the Paramount Theatre and Spam Museum. Before you leave Southern Minnesota, you should certainly ensure you see a thrilling game. Get to Xcel Energy Center, located northeast of Le Center. Book a hotel nearby to the action at the The Saint Paul Hotel or the Holiday Inn St. Paul Downtown. Situated 45 miles (69 kilometers) away from central Le Center is Minneapolis - St. Paul International Airport. Find a room nearby at Radisson Blu Mall of America or Embassy Suites by Hilton Minneapolis Airport. Our stay was quiet and comfortable. The room was missing the smoke detector and hair dryer. Refrigerator had not been cleaned out and contained some items from a previous guest. Very good experience, friendly staff and clean. Keep up the good work! Always enjoy staying here great place to have a meal as well! The Staff was so friendly and helpful. Could not have asked for more.